Dads, plan a special Valentine celebration with your little princess. 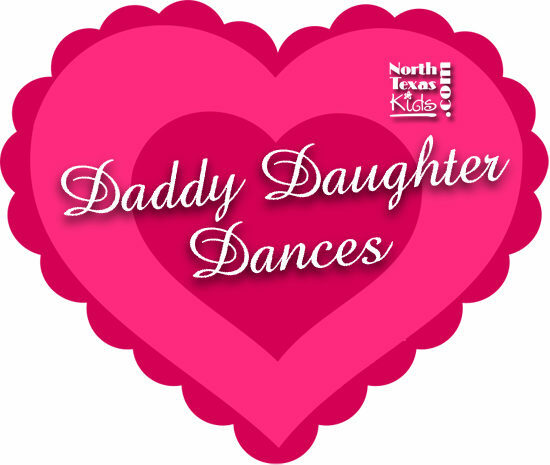 Here are a few of the local Daddy Daughter Dances. Be sure to check the websites or call ahead for updates to times. Pre K-K: 2:00 p.m. – 3:30 p.m.
1st – 2nd: 4:00 p.m. – 5:30 p.m.
3rd – 4th: 6:00 p.m. – 7:30 p.m.
5th – 6th: 8:00 p.m. – 9:30 p.m.